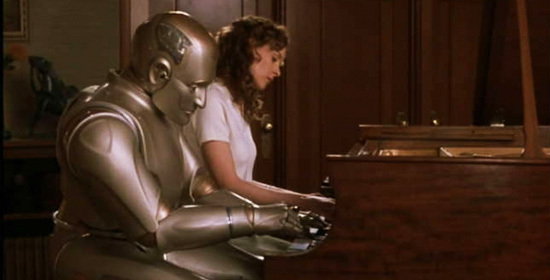 HOLLYWOOD – “Sir, is everything all right?” asked Andrew Martin a unique robot in the film, Bicentennial Man. Andrew was programmed differently and appreciated culture, and the hearts of people. 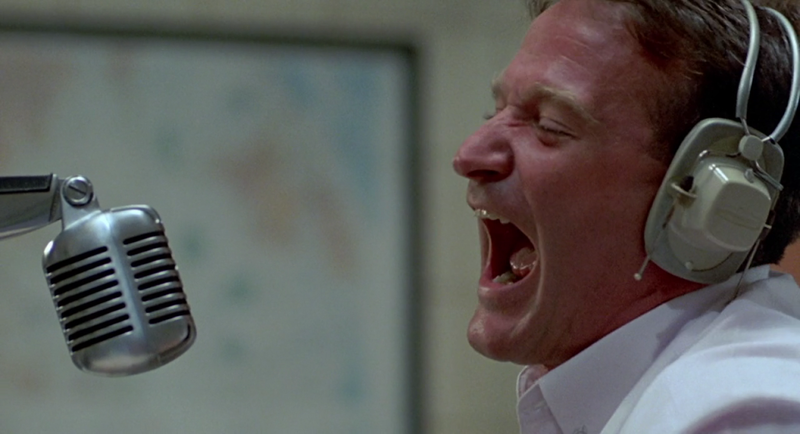 This was one of the amazing performances of Robin Williams, who had a scope beyond many actors. He could make us laugh and cry all in the same film, even in the same line. He played eclectic roles, often as the clown, who had a touching facet to his characters. In these films, you just wanted to hug him for being so awesome, and helping us to walk out of theaters with a smile on our faces. 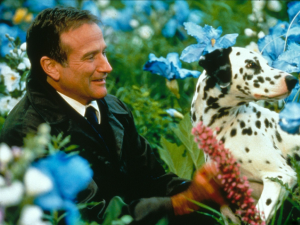 Think Mrs. Doubtfire, Good Morning Vietnam, Dead Poet’s Society, Good Will Hunting (which earned him an Academy award for Best Supporting Actor), Patch Adams, and many others. 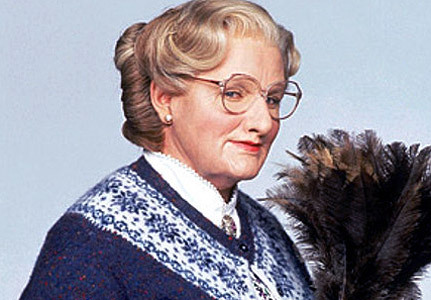 Robin Williams as Mrs. Doubtfire. Robin Williams giving a “Good Morning” to Vietnam. In many of his roles, he faced death and adversity, that showed his deep sensitive side…the one that he likely hid behind his comedic façade. And over the years, he was only growing in his characterizations, his roles becoming deeper and more touching. And what about the ironic, What Dreams May Come, where Robin Williams’ character dies, embarks on a quest from the afterlife, to reunite with his true love? “The place where we all go can’t be bad, can it girl?” he asked as he is reunited with his pet Dalmatian Katie, in the heavenlies. Of course, there were the roles he played which left us rolling on the floor, like the funny cartoon types such as the voice role of Fender in Robots, and he was absolutely hysterical, for anyone who enjoys animations. Robin Williams made the movie. With Pam Dawber, his “Mork & Mindy” co-star. 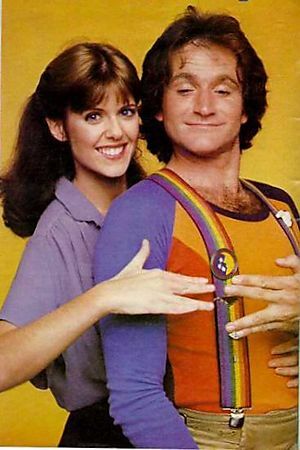 And what about his roles on television, including Saturday Night Live, and his long-standing role on Mork & Mindy? The author here remembers tuning in all the time to that one, and grew up with Mork memorabilia all around, from posters to lunchboxes to rainbow stretchy suspenders. It’s hard to believe Robin is gone. And to learn he died alone from a self-inflicted death as suicide by asphyxia is heartwrenching. A man who delivered so many smiles, yet battled depression and substance abuse in his core…how tragic what he gave to so many and couldn’t muster a smile on his own. If only he knew how loved he was and how many of us are traumatized by the tragedy of his passing. He was only 63 years young. Just married to his third wife for only three years. Leaving behind grown children. I can’t even imagine the pain and trauma his family must be feeling. “That won’t do,” Andrew countered at the revelation. 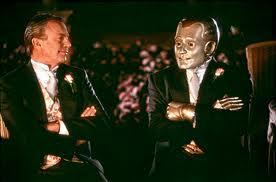 Some of the last lines in the film, Bicentennial Man, reflect around Andrew’s death. He transformed from a robot, and eventually became a man. He couldn’t bear to watch everyone who touched his life disappear. He did not wish to be immortal. He and Portia fell in love, and spent their remaining days together. 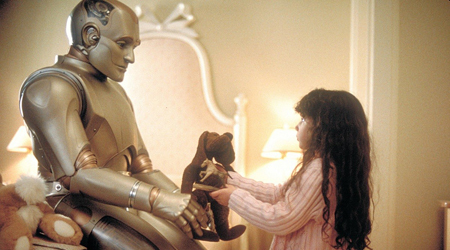 Andrew was never considered a “man” per se by society, even if he did transform…he was always considered a machine, designed by the NorthAm Robotics Company. He petitioned the President in the year, 2205, to be recognized as human, and to have his marriage also acknowledged as valid. “I’ve always tried to make sense of things,” he told President Marjorie Bota. “There must be some reason I am as I am. As you can see Madame Chairman, I am no longer immortal,” he pointed out with his aging body. “You have arranged to die?” the President inquired. “Why do you want this?” the President pressed. “See you soon,” Portia turned to Andrew. 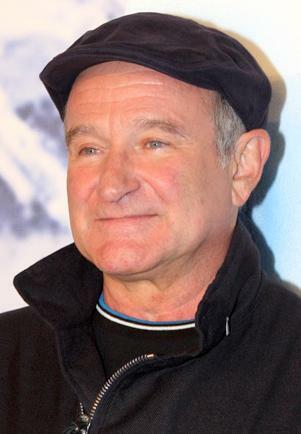 See you soon, Robin, also known as Mrs. Doubtfire, Patch Adams, Fender the Robot, Andrew Martin and many more. We were glad you were of service to us, through all of the laughter, tears, and amazing performances throughout all of the years. I only wish you knew how much so many of us cared for you…how much you touched us, even though we never met you. A light in Hollywood has sadly extinguished. I for one, along with many others, will miss you. God speed…and thank you. Our prayers to your family. Editor’s Note: InsideScene.LA will continue to follow this developing story and report as we continue to learn news into Robin Williams’s passing. We are saddened here. We hope that you enjoy some of these memorable clips from Robin’s career. Until then, stay on the Hollywood Scene with InsideScene.LA…click here to follow us on Facebook.